The Practice Day for the Hobie Kayak Fishing World Championships took place on Lake Bastrop in Texas. 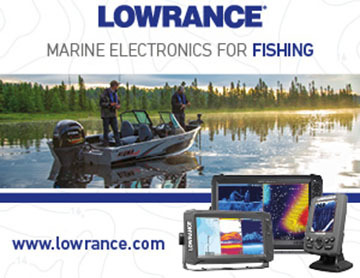 My experience of fishing for Largemouth Bass is extremely limited to say the least!. I threw a few lures for a couple of hours whilst in Florida in the summer and managed to pull out a couple of fish. Though the fact of the matter is that I’m pretty clueless!. I’d purchased some suitable spinning gear in the form of a pair of Daiwa Whisker spinning rods and a pair of Daiwa Exceler X spinning reels. I loaded them up with 30lb braid and a 20lb fluorocarbon leader. A selection of the above was purchased at Bass Pro along with a few other bits & pieces. Virtually all of the above lures were totally unknown to me, sure I’d seen the odd photo on the internet over the years, though when it came to how and when to use them I was again totally clueless!. I spent many hours researching various techniques on the internet and felt I was sufficiently prepared as not to make a complete fool of myself. I also picked up a Daiwa Magforce bait caster and reel combo which I loaded up with 50lb braid for heavier applications. Many thanks to Daiwa UK for sponsoring the GB team for the World Championships, it was hugely appreciated! So the first venue was Lake Bastrop in Texas. The game plan was to fish ‘top water’ for the first couple of hours, switching over to crank baits, other sub-surface lures and soft baits as the day progressed. 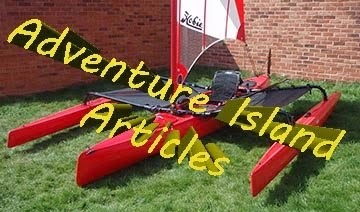 Once we’d finished rigging up the Hobie Pro Angler 12 kayaks we made our way down to the waters edge ready to launch. With 42 competitors it was a little congested on the slipway, though we were soon all afloat and awaiting the official start time of 0700. The Hobie official counted down the last few seconds and at 7am forty two Hobie Pro Angler 12 set forth into the morning mists, it was an awesome sight!. Below is a few of the kayaks that headed off to one side of the Lake, with me giving chase. Below are the two other member of Team GB, Dave Morris and Ian Harris. The fishing varied tremendously, whether it be casting into reed beds, tree stumps, weed beds, lily pads, grass beds, heavily wooded shorelines or just open water. Casting was at times tricky and accuracy is generally the key, something I’m not renowned for!. I’ll be honest, I hardly took any photos during the practice day, I was just way too busy trying to get to grips with the fishing. To say I found it very hard work would probably be fair!. I had new gear to get a feel for, new techniques to try, a new venue to get to grips with, etc, etc. To cut a long story short I failed to catch a thing during the six hour practice day, though I did have a few hits at the lures which was slightly encouraging. I’d got a good feel for the tackle and was getting to grips with some of the techniques, I’ll cover these in more detail in a later article. On a positive note, I could only improve!. The next day would see the Championships officially begin, the first of three days which would take place on Lake Bastrop. There’s no prize money involved, it’s purely about the fishing and trying to gain the prestigious title of World Champion!… no pressure then. No doubt there are many very proficient Kayak anglers in the UK at the moment therefore, what exactly is/was the selection process for this event as I’m sure there are several anglers that would go through a process in the hope of selection? Surely, if this is supposed to be a “World Championship” the selection process to represent you country would be very stringent? 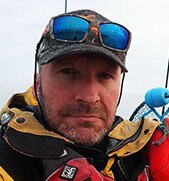 Not all proficient Kayak anglers have a blog to share their fishing experiences and be potential marketing tools for equipment but is that all you need to be considered for this event? Maybe I have misunderstood this event and I apologise if that is the case however, who are Team GB representing in this event, is it the UK or Hobie UK? Just to clarify, these were the 'Hobie Kayak Fishing World Championships', not the 'Kayak Fishing World Championships', they as such do not exist. The location in the world dictated the selection process. 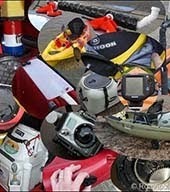 I believe that Australia selected successful kayak anglers from their extensive tournament scene. 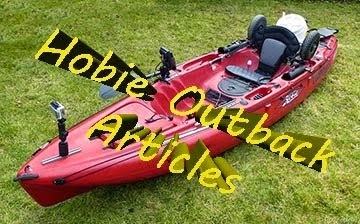 In other countries Hobie selected anglers they considered of note, anglers who promote the sport via forums, blogs, etc. 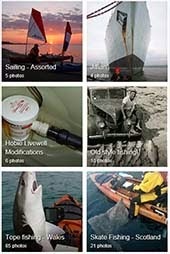 Hobie Europe effectively did the same, though for the UK they also advertised via Facebook Groups for kayak anglers to submit a 'CV' to Hobie UK and that Hobie Europe would untimately make the team selections from 'CVs' as well as fulfilling the 'requirements' I mentioned earlier. To answer your question, the team submitted from the UK were 'Hobie Team GB'. The website link to the 'Hobie Kayak Fishing World Championships' that I've published in the past two posts should go a long way to explaining this. Thank you for explaining that for me and congratulations on being Hobie GB's leading contender. You obviously learnt a lot from the first day.